This report presents the findings from the Catch Up Literacy intervention, a one-to-one structured literacy intervention in NBSS partner schools. This research project aimed to evaluate if the programme would be successful in improving the oral vocabulary skills of first year students in Irish post-primary schools. Four hundred and seven first year students from six NBSS partner schools received the intervention in 2013. There is an extensive body of international research providing evidence that academic difficulties promote - or at least exacerbate - behavioural issues. An integral element of NBSS research is the exploration of the association between challenging behaviour and academic difficulties. Research is central to NBSS academic literacy, language and learning skills support. 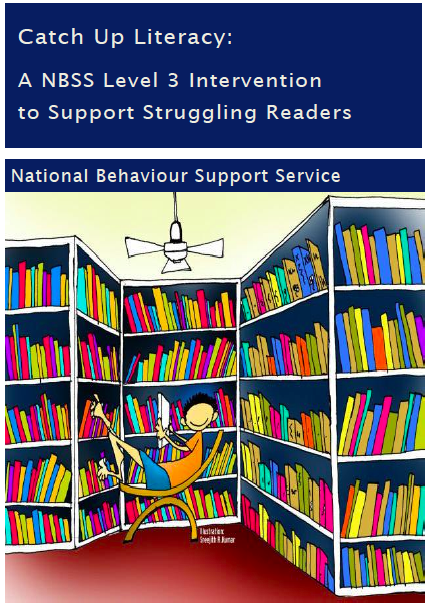 Catch Up Literacy: A NBSS Level 3 Intervention to Support Struggling Readers research report presents the findings from the Catch Up Literacy intervention, a one-to-one structured literacy intervention in NBSS partner schools. Data was obtained for 333 students who received the Catch Up Literacy intervention in 58 post-primary schools. The Catch Up intervention was developed at Oxford Brookes University in partnership with Caxton Trust (Clipson-Boyles, 2000). It has been identified by the UK Department for Children, Schools and Families (DCSF) as an evidence-based Wave 3 intervention (Brooks, 2007), i.e. interventions that have been shown to provide effective one-to-one support for struggling readers. 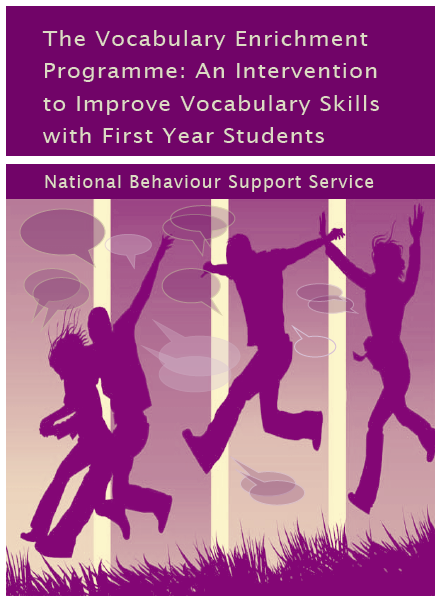 The Vocabulary Enrichment Programme: An Intervention to Improve Vocabulary Skills with First Year Students research project aimed to evaluate if the programme would be successful in improving the oral vocabulary skills of first year students in Irish post-primary schools in areas of socioeconomic disadvantage. Four hundred and seven first year students from six NBSS partner schools participated with three hundred and nineteen students from four schools receiving the intervention in September 2013 and the remaining eighty-eight students from two schools acting as controls and receiving the intervention later in the same academic year. All students were assessed pre-intervention and post-intervention on standardised measures of oral language. Teachers were comprehensively trained by, and provided with weekly support from, the NBSS senior speech and language therapist (SLT). The programme was delivered in regular English or literacy classes twice a week for 12 weeks.